The emblematic white wine of Argentina, this Torrontés is cultivated in La Rioja - located in the Famatina Valley wine region. The quality of this region results in extremely aromatic varieties. The wine is fermented in stainless steel tanks to preserve its fruit intensity and lively palate. Light in color, Torrontés has a citrus perfume with a pronounced floral essence. Peaches, Asian fruits, and hints of lemon explode on the palate. Well balanced, with a crisp finish, this white wine pairs well with a variety of lighter fare and will surely impress your Sauvignon Blanc and Viognier loving friends. 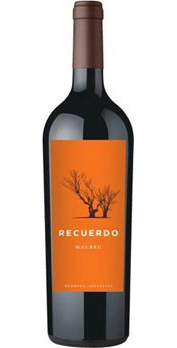 Synonymous with the red wine of Argentina, this Malbec is cultivated in the Uco Valley, which is situated on the eastern side of the Andes Mountains in Mendoza. This prime grape-growing region enjoys over 300 days of sunshine a year, a pure irrigation source from the Andes Mountains, rocky organic soils, and a broad variance between day and evening temperatures. A rich violet hue, the wine opens with an alluring nose of lush red fruit, ripe plums, earth, and blackberries. The palate offers spicy, savory notes, robust tannins, and an intense mouthfeel that seamlessly rounds out the finish. This wine pairs well with a variety of heavier fare and will offer a daily respite for lovers of Cabernet Sauvignon and other full-bodied red wines. 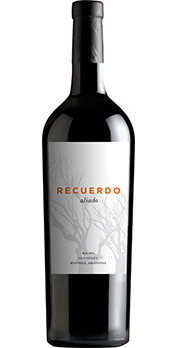 Directly translating to “Ally,” the Recuerdo Aliado is a pure expression of Malbec, hand-sorted for its superiority and aged in French oak barrels for eighteen months. Dark and intense in color, the wine opens with concentrated aromatics of rich cherry, blackberry and plum. The vivid flavor profile boasts dark fruit, licorice and violet, with fresh acidity a round, lush mouthfeel and a long, lingering finish. 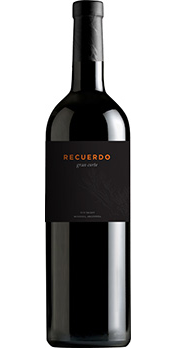 The 2011 Recuerdo Gran Corte "reserve blend" is cultivated in the Uco Valley, which is situated on the eastern side of the Andes Mountains in Mendoza. The fruit for this bold, full bodied wine is hand-sorted for its superiority and aged in select French oak barrels for 22 months. Optimum after decanting, the wine opens with concentrated aromatics of dark plum and blackberry. The balanced flavor profile possesses plenty of dark fruit, mocha and cracked black pepper integrated with spicy, lush tannins and vanilla-oak nuances. The wine has incredible length that leads to an elegant, satiny finish.